Are you still enjoying Thanksgiving leftovers? I've enjoyed turkey and mashed potatoes and corn and cranberries and stuffing every meal for the past two days. I love Thanksgiving! (read: I love food.) In addition to face-stuffing, we've immensely enjoyed..
Today is: November 1st, the day after Halloween, a chilly grey day in which I am working by a fire, the day that officially feels like Fall is over and winter has begun and most importantly it is a day for feasting on Halloween candy leftovers. And just like that, my oldest boy enters first grade. This is a big year for him (and, uhhm, me...sniff). Will someone please tell him to stop growing up? He is now in school all day long, which means I need to start thinking ahead about what he will be putting into his body during the day. This is Week #26 of my 2011 cooking challenge! Click here to view all recipes from this challenge. All recipes created for this challenge come from the Food and Wine Annual Cookbook 2010: An Entire Year of Recipes. I talk to my husband about almost everything I make in the kitchen. "Guess what?! 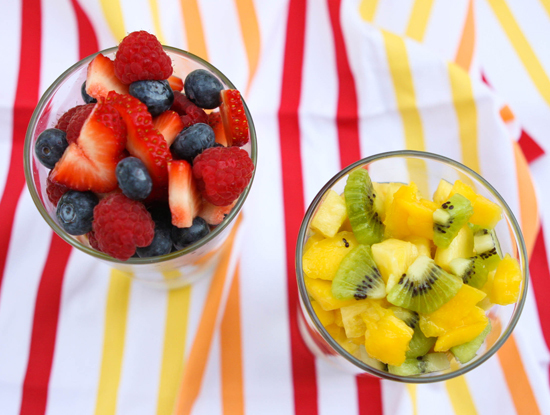 I'm making fruity ice cubes tonight!" He doesn't make me feel weird for being an obsessed foodie. Ok, sometimes he makes fun of my incessant cookbook-perusing, but it's all in good fun. 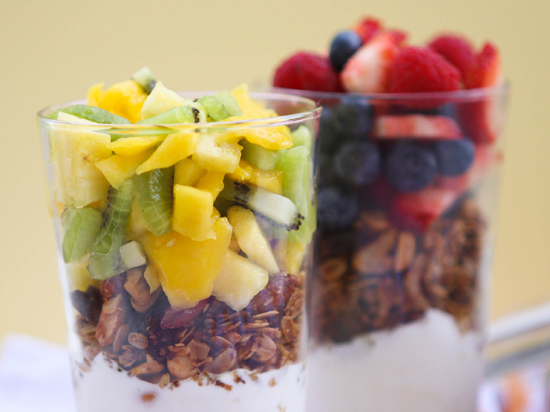 A few days ago I made this granola recipe and I hadn't had a chance to tell him about it. The following morning he saw it on the counter and ate a big helping. It was cute how pleasantly surprised he was about finding it. I will admit that I'm not the hugest granola eater myself, but this stuff is good. Really really good. It is packed with flavor and nuts. I have many ideas for it in the very near future. 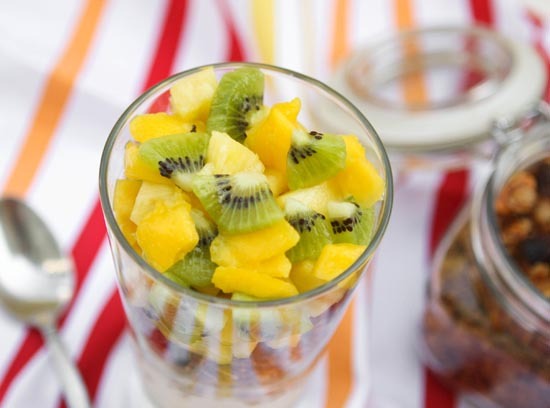 My first idea was to put it into a fruit parfait, which I will write more about in another post. My husband ate it as cereal. And we have also been snacking on it. It is super easy to throw together. In a small bowl, dissolve 1 teaspoon of salt in 1 tablespoon of hot water. Stir the liquid into the nuts and coat thoroughly. Spread the mixutre onto a large, rimmed baking sheet. 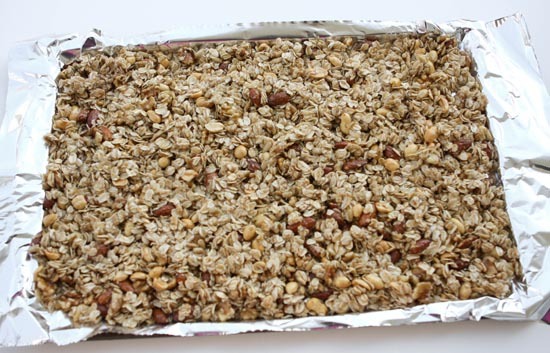 Bake the granola in the center of the oven for 40 minutes, stirring every 10 minutes, until it is nearly dry. Turn off the oven and prop the door open halfway. Let the granola cool in the oven, stirring often. The recipe with endless possibilities! Food and Wine Annual Cookbook 2010: An Entire Year of Recipes. 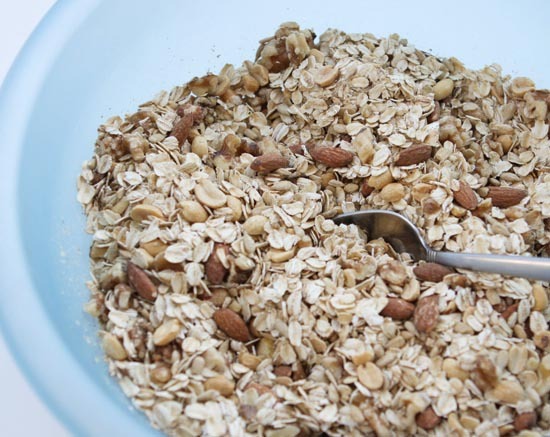 Preheat the oven to 325 degrees F. In a bowl, toss the oats, nuts, seeds and wheat germ. In a small bowl, dissolve the salt in the hot water. 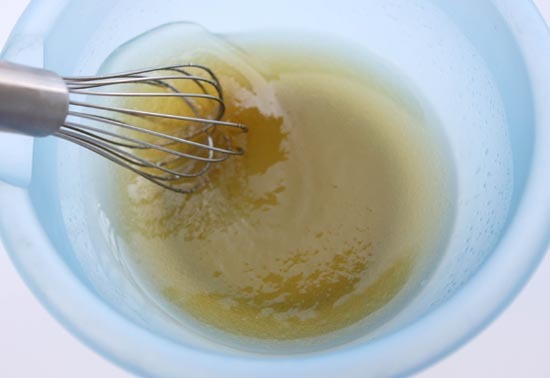 Whisk in the honey and oil. Stir the liquid into the nuts to coat thoroughly, then spread on a large rimmed baking sheet. Bake the granola in the center of the oven for 40 minutes, stirring every 10 minutes, until nearly dry. Turn off the oven and prop the door open halfway; let the granola cool in the oven, stirring. 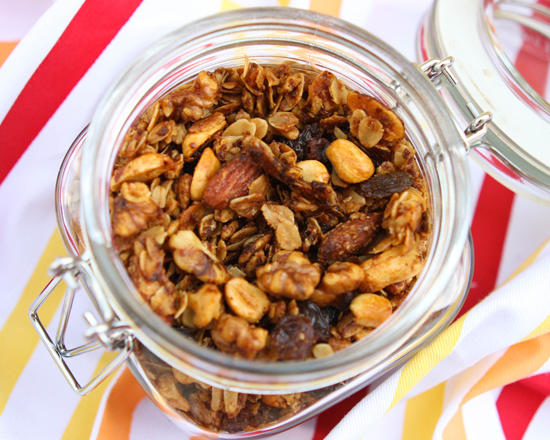 Toss the granola with the raisins; store in an airtight container for up to 3 weeks.